Hello friends, In this article, I will tell you about the Jio Gigafiber plans. The basic plan of reliance Jio starts with just Rs 500, in which you get 600 GB of data. Now, reliance broadband is testing its service in Delhi and Mumbai. Jio has named this broadband as Jio gig fiber. With the help of Jio company, people want to give the high-speed net cheaply and want to improve the level of existing broadband Jio company hopes that with the help of fiber network and Jio Gigafiber The world’s top 5 fixes will include our country in the broadband countries. Jio company has divided the plans of Jio Gigafiber into three categories, the user can take any of the three plans accordingly. Under these three schemes, different net speed will be given, if you want more speed You have to take a lot of money plan. Jio Giga fiber is a broadband service with the help of which the speed of 1GBps net will be made available to the people, according to Jio, it will be an ultra high-speed broadband service which will be distributed through an optic fiber. Jio company claims that people who apply it will get high-speed internet and they can see up to 4k video without any hassles. In order to provide broadband service from the optic fiber in our country, Jio has invested about 25 billion crores of rupees. 1. So far in our country, broadband internet service is given in two types, one is a wireless mode and the other is the fixed mode. What we use in mobile comes under wireless broadband. The same High-speed Deta in the homes and offices using Probiogiites like T1, cable, DSL, and FIOS, it comes under the fix Broadband service. 3. Optic fiber runs more than other cables and this also has the potential of bandwidth, it provides quite a good speed compared to other cables, and this is why Jio has used it in its broadband service. It has been started in the month of August, but it is being said that its official launching can be done after Holi. 1. People who take Jio Gigafiber can watch any video on 4k streaming and can enjoy the high quality. 2. People who use VR handset can connect this handset from their Jio Gigafiber and can see 360° video in 4k resolution. 3. Jio will get the high-speed net from Gigafiber and if this happens people will be able to turn their home into a smart home and by connecting the AC, TV, and refrigerator to your house, you can control all this with a smartphone. Those people want to take the Jio Gigafiber service, they can take a plan by going through My Jio App and visiting the official site of Jio. However, for registration of this broadband service, the registration process has started from 15 August. How many cities will the Jio GigaFiber start? This high-speed broadband service of Reliance Geo will start simultaneously in 1,100 cities. Apart from Metro cities, this service will also be available in Tier 2 and Tier 3 cities. When will I get Jio GigaFiber connection? After booking Geo Giga fiber, the users will be given connections by November. However, no official information is currently available from the company. In the city where more booking will be available, this service can be started first. Apart from this, this service can be started in small cities first. The company will provide its broadband service free of charge for the first three months. However, people will have to buy Gigahub home gateway from Jio Company for Rs 4500. The amount to buy Gigahub home gateway will be refundable. That is, if you remove this broadband service after three months of completion, then you will be refunded 4500 rupees. However, if the device is found broken when returned, you will not be given a refund amount. 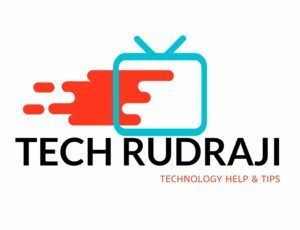 Jio claims that all TV shows and all TV channels can easily be seen without any hassle on TV by connecting Giga Fiber Broadband to the Jio Setup box. Also, people can also call through the TV. With the help of jio Giga TV, people can chat and video conferencing at a time. Not only this, you can use all the apps of jio on jio giga tv. With the arrival of jio gigafiber broadband, people can now enjoy the very cheap internet. Because this service being offered by Jio is being offered at a much lower price than other companies. Also, through this broadband, people can view any video in the 4k Resolution without any hassle. If you like this article”jio gigafiber plans |price and jio gigafiber full details in India(2019)” then definitely share it with your friends.